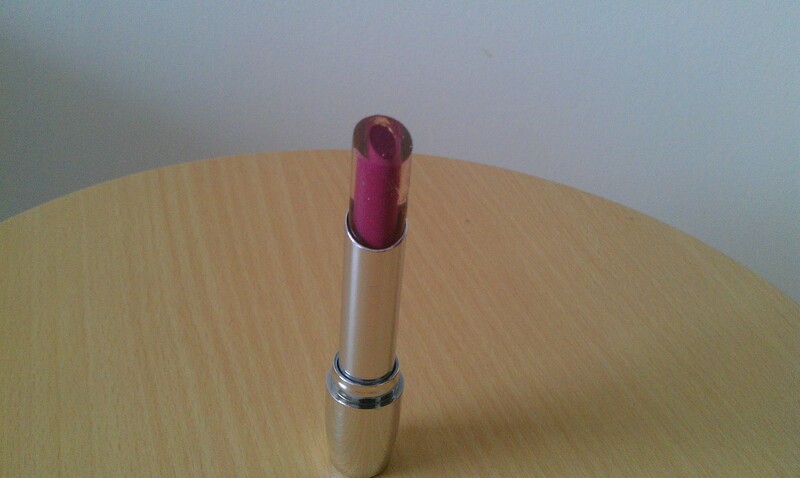 The new Avon Shine Attract Lipstick (pictures above) is a current favourite. This is a lipstick and lip balm in one. The lipstick has an outer gel layer which moisturises your lips and gives it shine , whilst the inner core adds full colour to your lips. 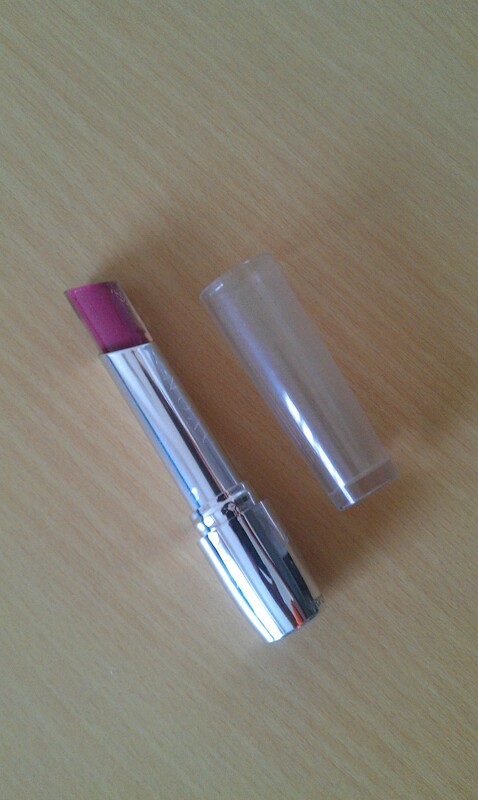 I like the feel of this lipstick as it applies smoothly. You can wear this sheer or apply more for full colour. I have been wearing P201 Plumberry pictured above and swatched below. It’s priced £8.50, but it is currenty on special offer for £5.00 and can be purchased from the Avon website here. Moisturising lip tint spf 8 Berry £3.50 – This is a dark pink/fuchsia tinted lip balm. Has a sweet sugary taste. Clarifying pressed powder £1.50 – I love this pressed powder! It gives good coverage and does a good job keeping away the shine. Eyebrow Kit dark £3.50 – Great for filling in sparse eyebrows. Studio Glossy Gloss in Funky Fuchsia £3.50 – This gloss gives your lips high shine and colour, and is non-sticky. 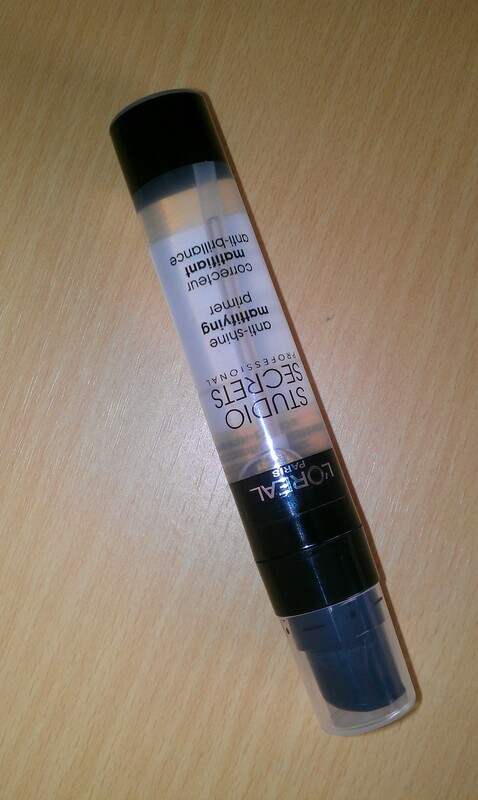 Tone Correcting Concealer £1.50 – This is a liquid concealer, which is great for under the eyes and concealing blemishes. Pro Mini Eyeshadow Palette cool (above) £3.75 – This palette contains 32 eye shadows, some of which are matte, whilst others are shimmery. 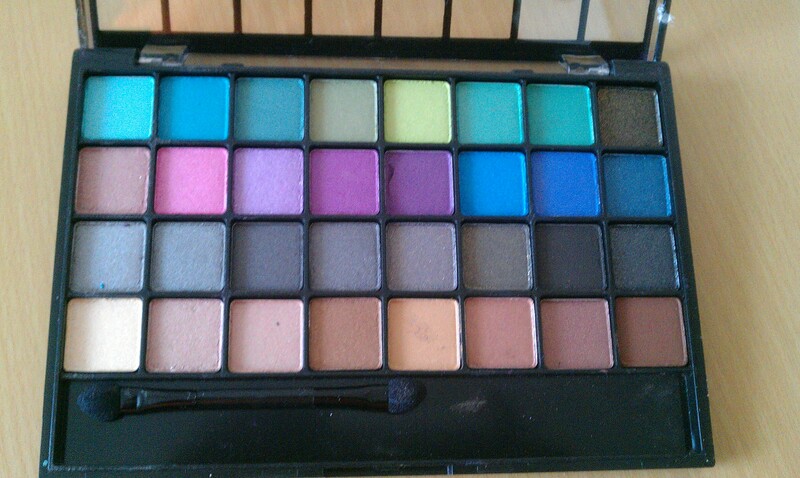 These eye shadows are pigmented and apply smoothly to your eye lids. 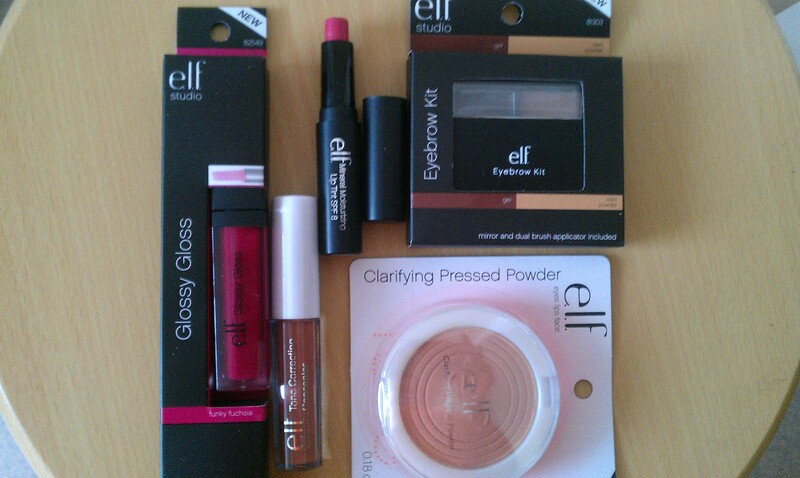 E.L.F products can be purchased here. Now that summer is fast approaching, I thought it was time I got a mattifying primer as I’ve got oily skin, so I bought L’oreal Studio Secrets Anti-Shine mattifying Primer £10.29. A lot (of good things) has been said about this product so I am looking foward to trying this out. I have been wanting to try an orange blusher for quite some time now so when I saw this at the Barry M counter, I thought why not? and moreover at £4.59, it’s not as expensive as Nars Taj Mahal blusher. 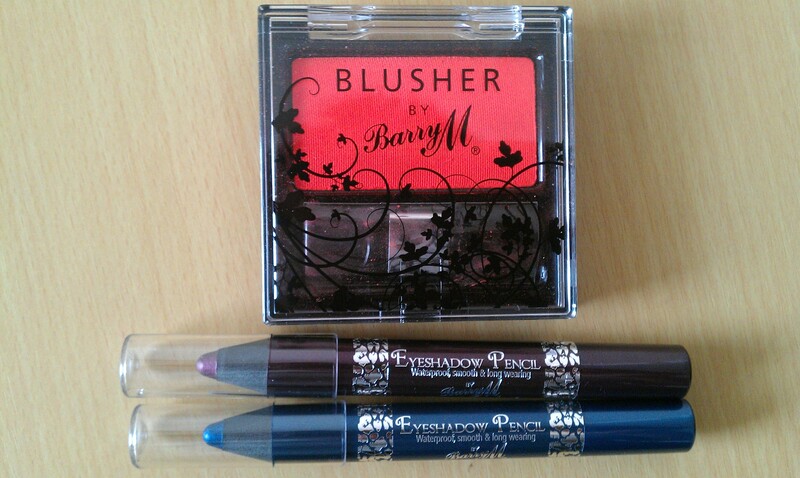 I got two eyeshadow pecils, one in #7, which is a shimmering aubergine colour and #6, which is a shimmering dark blue (darker than they look in the photo). 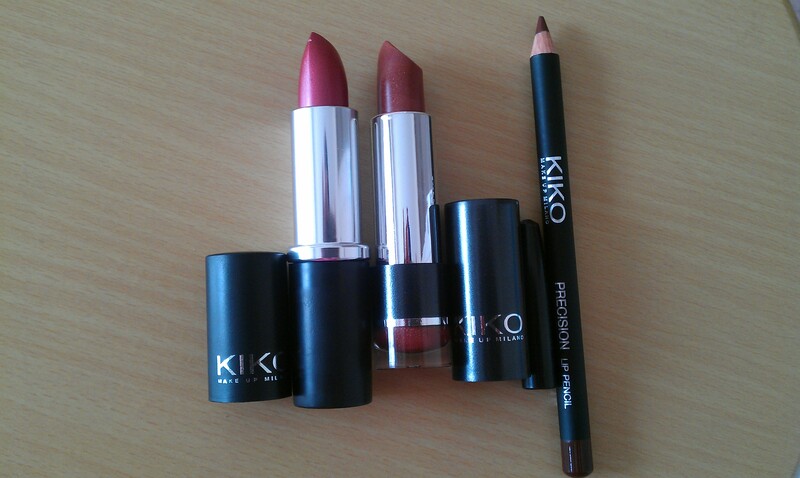 The eyeshadow pencils £4.59 each, are ‘waterproof, Smooth and long wearing’ according to Barry M.
I stopped by the Kiko store in Westfield Stratford, they were having a sale so I got a matt Lipstick in #62 £3.00, which is a reddish copper colour, and a glossy/shiny lipstick in #129 , £2.00 which is a brown bronze colour. 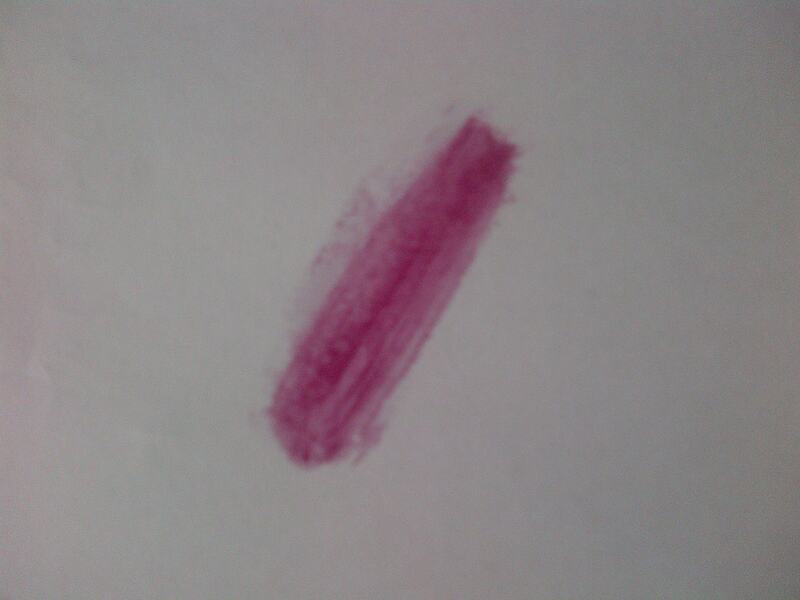 I also got a lip pencil in #315, which is a warm dark brown colour. If you pop into Tesco to do some shopping, check out these nail polishes if you can. They only cost 99 pence each and you only need two coats to get good coverage, lasted for over five days on my nails without chipping. From left to right, Bronze, Cocoa, Mulberry Pie, Perfect Pink and Emerald. I got this lip balm £1.99 from Sainsbury, cause I love the berry scent (might be too strong for some people) and the fun retro packaging. 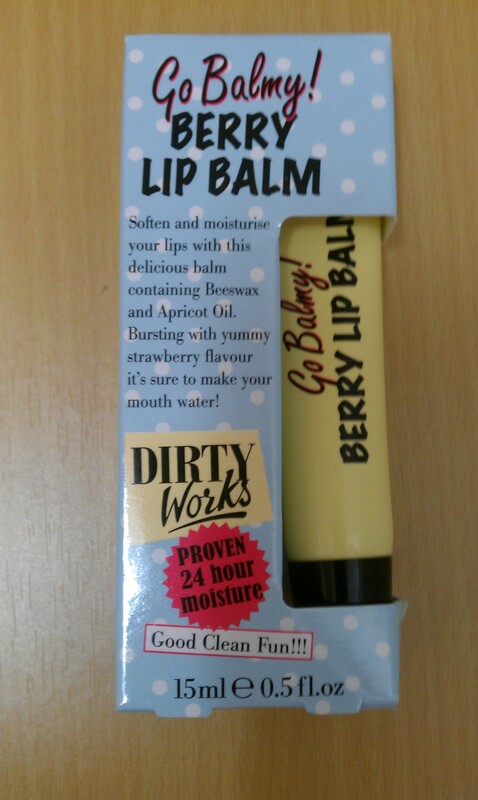 I am not sure about the 24 hour moisture, but it is non-sticky and gives your lips some shine.